Wreck-It Ralph is the bad guy from an arcade game, ‘Fix-It Felix Jr.’, inspired by the original Super Mario game. It’s his job to destroy a building in a fit of rage, while Felix, the hero (and the gamer) fixes it with his golden hammer, saves the townspeople and gets a medal for his hard work. Thirty years on, and Ralph (John C. Reilly) has had enough, so ‘goes turbo’, and does the unthinkable – he leaves his game, to prove himself to be a good guy, and get a medal of his own. As expected, the unique thing about this film is that it plays around with the audience’s knowledge of the gaming industry, to great effect. In his first attempt at being the hero, Ralph yells in despair “Why is this game so violent?”, while shooting very Alien-esque creatures in a game called ‘Hero’s Duty’, an obvious pastiche of boys’ favourite ‘Call of Duty’. 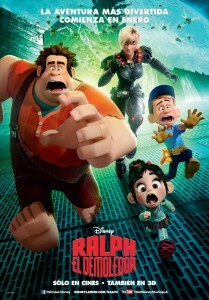 Despite this, it is still most certainly a family film: both the Bad Guys’ support group and Game Central Station have more gaming cameos in there to give hard-core gamers (or those of a certain age), a real buzz of nostalgia and excitement, while the kids will enjoy the fun plot, and characters. 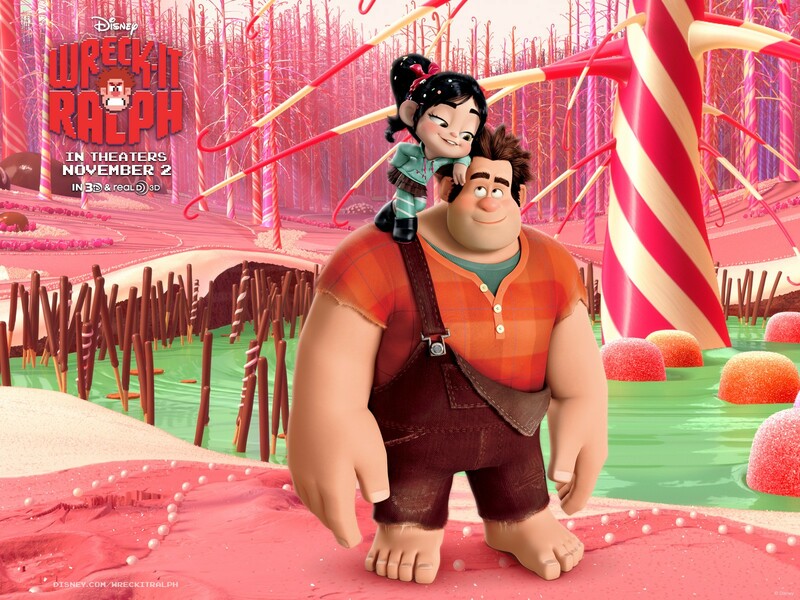 A very important character is Vanellope (Sarah Silverman), in which Ralph comes across in a game called ‘Sugar Rush’ (inspired by Mario Kart). She is an original character, based on Silverman when she was a girl, after the director read her autobiography, ‘The Bedwetter’. Vanellope is apparently just a glitch in her game, bullied by the other characters there, who believe she cannot and should not race with them. She is the one who deals with most of the emotional aspects of the film, even though Ralph is still the main character. Jane Lynch (Sue Sylvester from Sky 1’s Glee) also provides the voice of the captain from ‘Hero’s Duty’, a tough, no-nonsense soldier who captures the heart of Fix-it Felix. As with almost everyone else in the story, I would have liked a bit more development into their relationship, because it was very sweet. But who knows? Maybe they’ll get their own sequel? In conclusion, ‘Wreck-It Ralph’ is most certainly not in the same league of brilliance as the Toy Story trilogy, but it is good enough to please the younger audiences and those young at heart. ‘Paperman’, the Oscar-winning animated short shown before the film starts is absolutely amazing. I don’t know about you, but mention the phrase ‘spaghetti western’ to me, and I immediately imagine Clint Eastwood, trudging through some dusty town with a strange name that has narrow roads strangely ideal for gun slinging showdowns, set sometime in the 1800s. But there’s something missing. Black slavery was certainly the norm around that time, so how come there is nothing about it in these films? This appears to be the question Quentin Tarantino asked himself before making Django Unchained, and so decided to once again break the mould of his chosen genre in the most inspired (and controversial?) way as possible. The story is simple enough: a hero named Django (Jamie Foxx) wishes to find and rescue his lady-love (Kerry Washington) from some nasty folk. But the difference with our hero is he’s a liberated black slave, and the nasty folk are traders. Also, his liberator/mentor is a smooth-talking German bounty-hunter called Dr King Shultz (Christopher Waltz), who seems to have warrants for every person (slave trader) he ends up killing; he teaches Django everything he knows, in order to get vengeance on those who have his wife. Leaving lots of dead bodies in their wake, the duo find Broomhilda at a plantation called Candyland, owned by charming but brutal Calvin Candie (Leonardo DiCaprio), who specialises in trading black men who fight to the death for his own profit. They try to bargain with him about buying Broomhilda from him. Yet Candie is not the only person they have to fool. His most faithful slave is Stephen (played with chilling zeal by Samuel L. Jackson), who has lived and worked for Candie’s family for almost all his life, and follows the white people’s way of thinking to the point where it proves to be rather prickly viewing. In a good way, though. Django Unchained is a tip of a courteous hat towards the old westerns – but also a rousing punch in the face, as it sheds a brutal light on the racism they didn’t want to show back then. I counted the use of the n-word (nope, I don’t like saying it. There’s a generation gap for you) 107 times, and though the scene with the KKK having trouble with their masks was quite funny, I didn’t feel entirely comfortable laughing about it, knowing what their beliefs are. 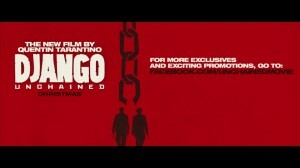 I have only seen three of the films within Tarantino’s repertoire so far, but they are enough to get to grips with his unique style of quirky film-making, such as graphic violence so splattering, it sprays a white house red, and the post-modern music. An unexpected hip-hop track is used, for one example, which should not work within a story set in the 19th century. 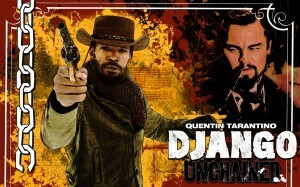 But it is used when Django is walking tall in leather, shades and a cowboy hat, beside Candie’s convoy of slaves and acquaintances, so it really does in a surprisingly powerful way. 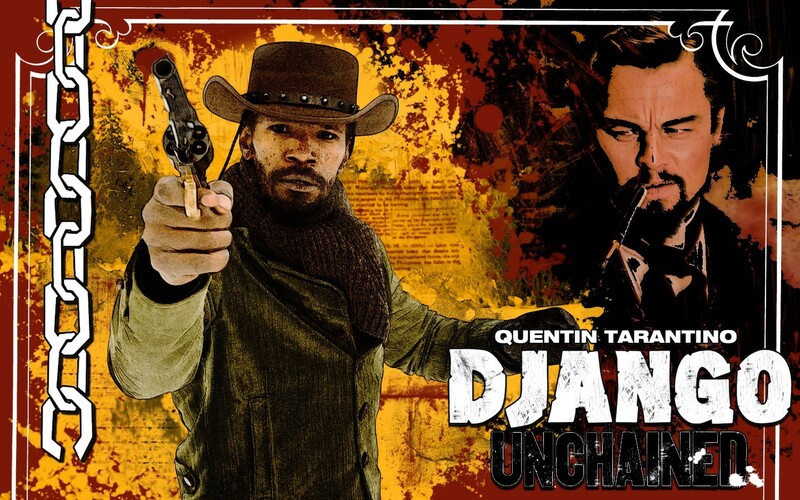 Jamie Foxx proves to be an excellent hero, making Django’s triumphant transition from softly-spoken slave to ruthless bounty hunter, with a noble cause look utterly believable, often sparing his victims a single amusingly glib remark before they die. Waltz, however, almost steals the show (much like he does in Inglorious Basterds) with a suave and cheerful performance, which belays his rather bleak profession. 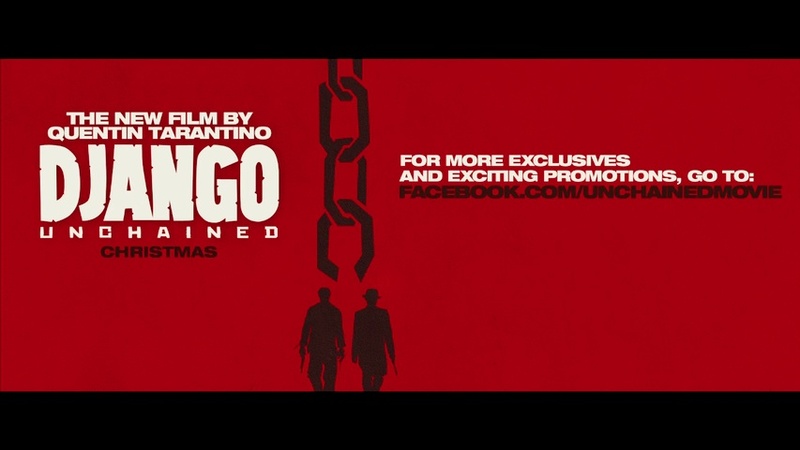 You get the feeling Tarantino had the actor in mind when writing the story, and he certainly does not disappoint. Despite the context of the film, it does not preach about racism. If anything, it gives you more reason to root for Django and Broomhilda, like any other love story…with that extra-added thrill and humour. 2012 was a year of many things. There were the obvious highlight of the Olympics and the Paralympics, and the introduction of dance craze Gangnam Style (yup, I had to put that out there), but then there were also some lows, such as the government making an even bigger pig’s ear out of things, freaky weather conditions – and BBC1’s Merlin finished after five series, to which I am still utterly gutted about. Ahh, what a disappointment. 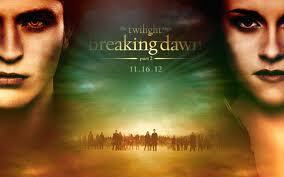 Twi-hards came in their thousands to witness the final film of the phenomenally successful Twilight Saga, based on the equally successful books by Stephenie Meyer. For those who don’t by now (if that is the case, where have you been these past four years?? ), they chronicle the trials and tribulations of an ordinary girl named Bella falling in love with a beautiful vegetarian vampire, named Edward who can read minds…except for hers. Breaking Dawn Part 2 carries on from where Part 1 left off (duh); Bella has completed her transformation into a vampire, after the rather traumatic birth of her human-vampire-hybrid daughter, Renesmee, and all the drama that follows. Sigh. Being a huge fan of the books and films, I would have placed this further up in my list, but there were too many reasons why I didn’t. The effects were awful, there were too many characters not doing very much, and THAT little plot twist near the end which left many fans grinding their teeth in fury, and/or fainting in the aisles (okay, maybe that’s a slight exaggeration) really let me down, despite staying fairly close to the books. I often find I struggle to know where I stand with the Muppet movies. Some of them pile of way too much tedious schmaltz (Muppets From Space springs to mind), whilst others hit it right on the head regarding the ironic in-jokes, and the countless celebrity cameos that the films have become famous for. Furthermore, The Muppets, though not a particularly inspired title, brought them back into the limelight after an eleven-year gap…and it’s like they were never away. Miss Piggy, Kermit, Gonzo and Fozzy (to name a couple) return, fighting to save their beloved theatre from being torn down by an evil tycoon (whose maniacal laugh is literally a maniacal laugh), with help from their number one fan, Walter, who is the brother of Jason Segal’s character Gary – and is also a Muppet. After watching this, my opinion about the Muppets has swayed in a more positive direction, (I blame the brilliant music numbers), so let’s hope the upcoming sequel will be just as entertaining. Upon hearing that the Spiderman films were going to be rebooted, many fans were incredibly sceptical to say the least. Partly because many thought it was too soon, but mostly because we all wondered why we needed another film which covered the same ground of Peter Parker’s origins (most likely answer being the money). Then the first trailer was released. Okay, so running across rooftops and doing what Spiderman does best (from his perspective, no less) was an interesting and exciting move, but his new suit was quite the Marmite-like topic even before the film came out, and I admit my hopes were not particularly high, having grown up watching the original Spiderman starring Tobey Maguire. But from his very first scene, Andrew Garfield won me over. Dorky and a little on the lanky side, he did what Maguire could not – make Peter Parker actually quite cool, and his interactions with Emma Stone’s Gwen Stacey were sometimes sweet, mostly awkward, but always absolutely genuine. The effects let it down a little (i.e. Curt Connors’ Lizard – seriously, what’s going on with his mouth? ), and no one likes to see an important character die again, especially as Martin Sheen proves to be a warmer, more paternal Uncle Ben. 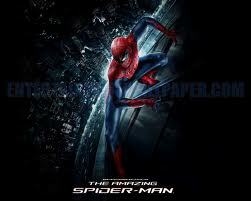 Other than that, though, I thoroughly enjoyed The Amazing Spiderman, and it surpassed my expectations satisfactorily. This was an easy choice to make. Even before its film release, The Hunger Games was being dubbed as the new Twilight which, after following one of a friends’ strict instructions to read the books, I realised that was a rather lazy, inaccurate subtitle to sell it with. Katniss Everdeen is too much of a badass to take any nonsense from any moody, sparkly vampires. Case closed. She lives in one of twelve districts, where every year, one boy and one girl are chosen to represent their districts in The Hunger Games. 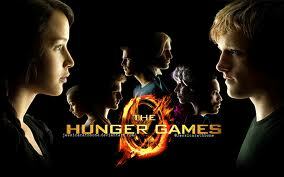 A brutal test of survival and strength, which Katniss volunteers for in the place of her younger sister. Like I said, she’s a brave one, and determined at that. In my review, I found it incredibly hard to find anything to criticise about. Despite some plot changes (Peeta not losing his leg at the end, etc. etc. ), the whole thing felt raw and real, and Jennifer Lawrence’s performance as Katniss has effectively made her a household name. Bring on (the sequel) Catching Fire! Admittedly, I struggled to decide whether or not to mention both the two big-screen adaptations of Snow White, because I enjoyed both of them for different reasons. Mirror Mirror is bright, bubbly and great entertainment for when you need something cheerful to tide you over during the cold weather. But, I liked Snow White and the Huntsman for a number of reasons. It is such a darker, more mature version for a start, and Charlize Theron is astounding as the Evil Queen, Ravenna (heck, even her name sounds evil!). 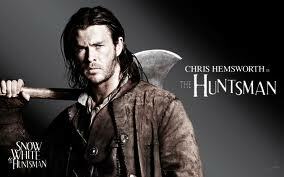 Chris Hemsworth is a sorrowful Huntsman with a Scottish accent, and Kristen Stewart is…well, average as Snow White. Once again, she is what disappointed me most in the film – that, and the distinct lack of real dwarves, no matter how funny they were. But as much as I liked the film, it is the official song, “Breath of Life” by Florence and the Machine that pushes this up higher than The Hunger Games in my list. It has been about seven months since I first heard it, and I still cannot stop listening to it. It was the film I had been waiting for ever since reading the book – and boy was it worth the wait! Martin Freeman is perfect as Bilbo Baggins, in what has become known as the less serious look at Middle Earth. I mean, the book is for children after all, but it still manages to be absolutely epic, not just in its general feel, but also its running time: I was sat in that IMAX theatre for about three hours! 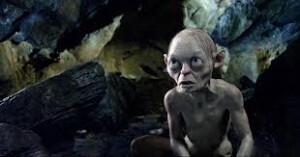 However, the film itself was bulked considerably out by the constant nudges towards the Lord of the Rings, purely for the benefit of those who have only seen the films, which I found rather distracting. Still, despite some of them retracting from the story (i.e. Radagast the Brown, and the Nazgûl blade), I enjoyed it all the same! Anything that has something to do with Aardman Studios is a good thing, I think – and in the case of Pirates! An Adventure with Scientists, it is a fantastic thing. For a start, it’s about a pirate captain called the Pirate Captain (you can’t make this stuff up! 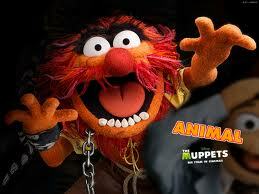 ), who is voiced by Hugh Grant (Hugh Grant! ), who just wants to win the Pirate of the Year Award, and prove to his loyal pirate posse that he’s not a loser. Awww. So, why do I love it? 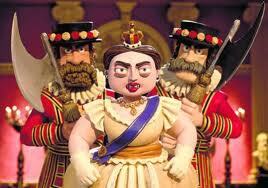 Well, Queen Victoria is the (surprisingly athletic), villain with a vendetta against pirates. The cast is about as British as a custard cream being dunked in a cup of tea, featuring Lenny Henry, Martin Freeman, David Tennant, Imelda Staunton and Brian Blessed. Phew. And it is suitable for all ages, which is always a bonus. The kids enjoy the references to ham and general pirate-y antics, while the parents go for the amusing and often ironic sense of humour throughout. Oh, and The Clash feature on the soundtrack! Huzzah! 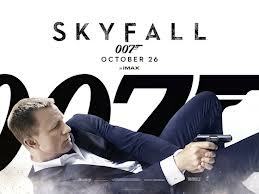 My faith in 007 films has been restored! Scrapping the puzzling plotlines, and returning back to basics with style. The traditional (a.k.a rather gleefully nuts) Bond villain returns fabulously in the form of Javier Bardem, and the humour is as dry as ever, under a bucket-load of angst courtesy of Daniel Craig (who else?). Thankfully, Adele’s award-winning theme tune gives you time to catch your breath, before things really kick off. Christopher Nolan’s much-needed revamp of the Batman franchise has been a success since Batman Begins came out in 2005; not only do they stay faithful to the dismally dull and dreary atmosphere of some of the comics, but there were (mercifully) no terrible puns in sight, and you were left wondering how the hell the next one could be any better. This was certainly the case with The Dark Knight, courtesy of Heath Ledger’s deliciously unhinged performance as the Joker. 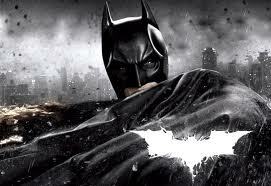 But then there was The Dark Knight Rises. And did it rise! The plot is intelligent, the dialogue is slick, and the bad guy is bad enough to shove the most iconic Batman villain well and truly in the shade. I mean, Bane is an absolute giant of a man, anyway, but Tom Hardy’s performance is nothing short of transfixing. Plus, that breathing apparatus makes him look half-Predator, so he’s even more intimidating. My favourite performance is still Anne Hathaway as a kickass Catwoman, with the best, most quotable one-liners in the film, and Christian Bale is a wounded soul. Literally! He has to strap his leg up before stepping into his suit, from past injuries, and that’s before Bane breaks his back. Also, this is one of the rare films that, although the ending ties up all loose ends, it stills leaves room for more. But that could just be wishful thinking, eh? Oh yes, there’s no question about it. I LOVE this film, and I’ve got the T-shirt to prove it. Marvel had been hedging towards this momentous slice of awesomeness ever since 2008, with sneaky little hints (such as Tony Stark using Captain America’s shield as, um, something to lean on in Iron Man 2) and post-credit scenes that didn’t really give much away unless you were familiar with the comics. I was a little worried at first though (after being completely blown away by the sneak peek after Captain America): most of the heroes have very complicated personalities, particularly the Hulk, so to pull them all off whilst having them work together without the end result feeling like a fan-made piece of terrible, bitter disappointment, was going to be a very daunting task indeed. Except there was nothing to worry about, because Joss Whedon made it look easy. You’re not conscious of the 2 hours and twenty three minutes that pass, because you’re enjoying yourself too much. There’s enough action to keep you on the edge of your seat, such as the stupendous smack-down in the woods before the boys get their acts together and team up, and comedy to keep you laughing, sometimes all in one scene – often at the expense of whoever is foolhardy enough to get in Hulk’s way (which Loki learns the hard way!). Okay, so it’s not in the same deep and meaningful league as The Dark Knight Rises, but it sure is an absolute blast to watch over and over again! 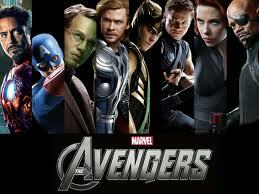 So, that’s my winner, but what do you think was the best film of 2012?